This presentation by Scott Ambler is incredible. It’s full of amazing statistics. For me, one thing was most impressive. I’ve gradually introduced XP in a critical project in my current company without any management support or agile rhetoric two years ago. I just did incremental change. But as soon as we started introducing agile, as in Scrum, we spent more times in meetings and had some major roadblocks, people problems, etc. I always wondered why the results were so different: Scott Ambler said out loud what I thought all along - we called the same things different names, which produced an impression of change without change. Some people who had a certain responsibility all along couldn’t handle it once it was called out. Management needed to be convinced, which required a lot of translating from Russian into Scrum, etc. 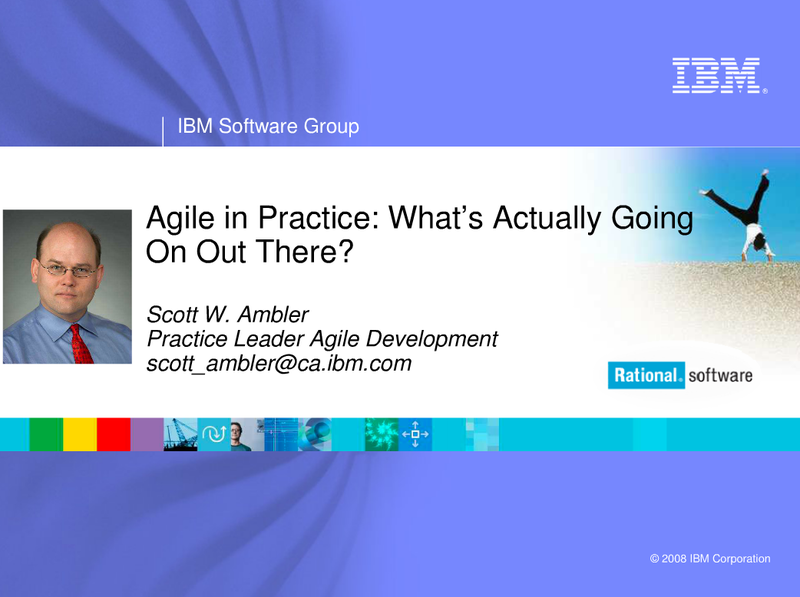 Agile in Practice: What Is Actually Going On Out There? was published on September 07, 2008 . See a typo?